I thought it might be fun to share a character map with everyone for the Touched Series. Camille is the main character in Blood Debt & Centaur Legacy. Growing up, she believed her family consisted of just her and her mother. 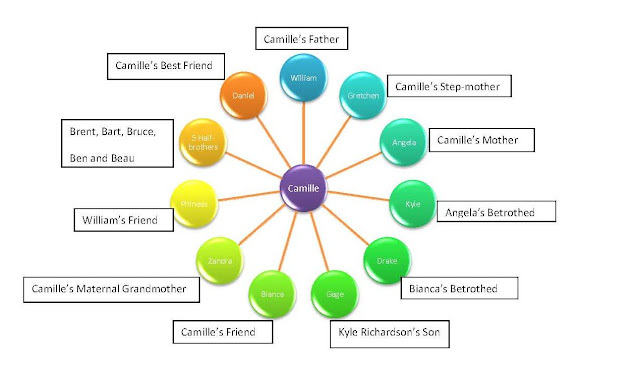 Minutes before her mother passed away, Camille learned her father’s identity - this opened the door to all the other characters in the story.